Boldt Castle, a premier attraction in the 1000 Islands International Region, announced that a recent independent study estimates it to generate nearly $40 million annually in regional economic activity. Additionally, the historic site generates over 600 jobs in the regional economy. Commissioned by the Thousand Islands Bridge Authority, and completed in November 2015 by WSP | Parsons Brinckerhoff, Washington, DC, the report statistically identifies Boldt Castle’s economic impact. 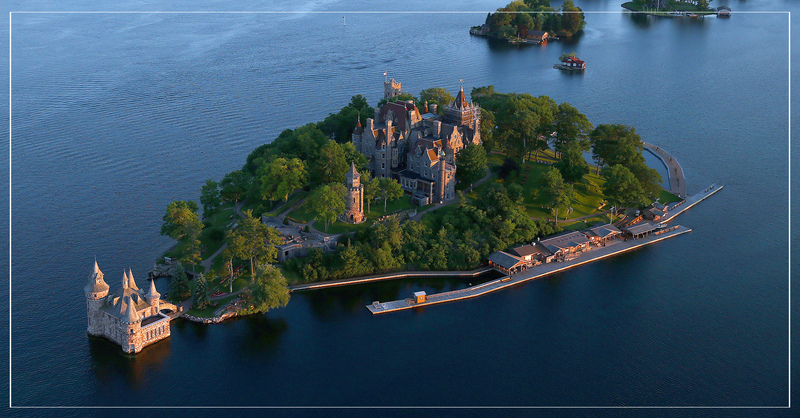 Boldt Castle has become a recognized international destination and regional icon attracting nearly 200,000 visitors annually, providing sustainable economic benefits to the entire 1000 Islands International Tourism Industry. The report quantifies the exact impacts Boldt Castle provides to the 1000 Islands International Region attributable to visitor spending, job creation, and annual spending by Boldt Castle, while positively impacting local sales tax revenues. Since assuming ownership of historic Boldt Castle in 1977, the Thousand Islands Bridge Authority has long been committed to its preservation, improvements, and operations, while simultaneously fortifying the region’s tourism industry with future economic progress for decades to come.